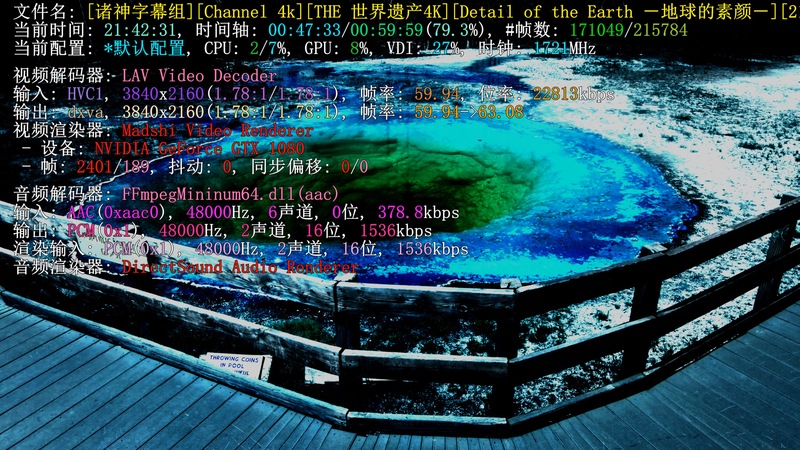 Yesterday I tried to use potplayer to paly a 4k hevc 10bit video with madVR,it worked very well in window mode,however,a color error occured in full-screen mode. In addition to all rendering/general settings options was not checked,I didn't change any other settings. I downloaded madVR at http://forum.doom9.org/showthread.php?t=146228. Please tell me how to solve this problem,many thanks. Maybe something changed in 0.90.x versions,I tried to use old versions.All versions released this year has same problem,then I tried 0.89.19 version released in late 2015,and it worked.I don't know why,but now I decided to use the old version temporarily. Thanks for your hard work,madVR is really a powerful renderer,wish you all the best.